When you should kick somebody out of your life – Unlock your potential! Human beings are usually social. Social means, we get together with a lot of people, at work as well as in our private lives. Happiness comes and goes with the people we spend time with! Did you ever have the feeling that after meeting certain people, you feel exhausted, with almost no energy at all? And it is always the same people? That shouldn’t be this way – after all, people should acknowledge you and lift you up. While sometimes we just have to BE with some people, there are other times were we can actually choose whom we spend our time with. Today’s blog is about why you should choose your people wisely and whom you should kick out of your life; after all, your happiness comes and goes with the people you let into your life. “We often are the average of the five people we spend the most time with.” This means, you – and only you – are responsible whom you are with, and only you choose who is influencing you. This is something you probably already noticed. When you spend time with someone who doesn’t like their body, you will probably start to notice your weaknesses too. If you spend most time with people who can only have fun while they are drinking, you probably start to drink too. If you spend most time with people who count their calories, you probably start to count calories too. If you spend most of your time with people who like to gossip and are very judgmental, you will probably feel self-conscious. Finally, if you spend a lot of time with people who do not respect boundaries, you will find it hard to have a healthy relationship with them and yourself. This all makes sense, doesn’t it? Look at your current friends – what kind of people do you attract into your life? Is it someone who is friendly, caring, loving and passionate? Is it someone who loves his or her life? Or is it people who are miserable, and don’t like their body? It all starts with you. If you spend the most time with people who are confident, who love to laugh, listen to somebody, you will probably feel energized and respected; you are inspired to do the same. How do I feel after meeting him or her (or them)? Do they make me feel good? Can I listen to them, and do they listen to me? Do they acknowledge my presence and include me in conversations? Of course, life is complex, and sometimes it is hard when good friends or even family members do not treat us with respect and certain boundaries. You just do not feel nourished by them, rather depleted. By unraveling layers of relationships you will learn a lot about yourself, and your needs. And sometimes – as hard as it may sound – we just have to kick some people out of our lives. Kick someone out of your life? As social human beings, we just want to get along with everyone. Sometimes it is hard for us to understand that this is not possible. Instead of getting along with us, some people tend to criticize, take advantage of us or even do not acknowledge our presence when we are with them. They exhaust you: From every meeting with them you walk away unhappy and exhausted. Usually, meeting friends should energize you and give you a boost; sometimes this is not the case. If this happens too much, you probably spent time with a negative person. Somebody who is always complaining, or gossiping, or cursing at life, will leave you eventually in a negative mood. They do not acknowledge your presence: So you ask them about their work, what is new with them, and you show interest in their life. The moment you stop asking them – awkward silence. This is a very good sign to kick someone out of your life. After all, we are all capable of showing interest in somebody’s life – if somebody does not show any interest in you, you may evaluate if this person is still worth being around. You deserve true friends, and you should spend time with people who are truly interested in your life as well. You do not like someone: This is an easy decision. Sometimes the world is just black and white, and not liking someone is human nature. Do not blame yourself for it; people either make us feel better or worse. Our feelings and our well-being should come first; therefore, if you do not like somebody who is constantly dragging your down, you might consider kicking him or her out of your life. They just need you for their own purposes: Sometimes you will meet people in your life who are solely obsessed with what you can do for them. They expect a lot from you but are not willing to put any effort into the relationship. Whenever you say “No” to them, and you start hearing from them less often, that is a clear sign that they just needed you. Yes, sometimes life is easier if some people are not in it. There are people in your life, you give you something, which you simply cannot live without – you would miss them if they would walk away. However, the thought of living without somebody makes your life seem easier and happier – then you have your answer if somebody should stay or go. Sometimes, something is holding us back from living the best and happy life possible – do yourself a favor and start surrounding yourself with happy people; kick the negative ones out of your life. Watch out for the warning signs and ask yourself the questions from this blog – then you have an answer if somebody should stay or if you are better off alone. After all, life is too short and precious to spend it with the wrong ones – you will definitely notice a difference! About the writer: Dr. Mario Lehenbauer-Baum is Visiting Postdoctoral Research Fellow at the Vanderbilt University in Nashville/Tennessee, and a Postdoctoral Research Fellow at the Sigmund Freud University in Vienna/Austria. He is a Clinical Psychologist and Health Psychologist as well as a certified Industrial-/Organizational Psychologist (certified by the Board of Organizational Psychology – Austrian Psychologist Association), a motivational speaker and coach as well as a researcher concerning positive psychology. He is a passionate gamer and uses new technology frequently. His research work combines (Clinical) Psychology/Organizational Psychology and new technology (e.g. online-based social skills trainings) as well as the “side effects” of using new technologies, such as being addicted to the Internet, games or smart phones. In his coaching and therapy work he focuses on positive psychology to help people live a better life. 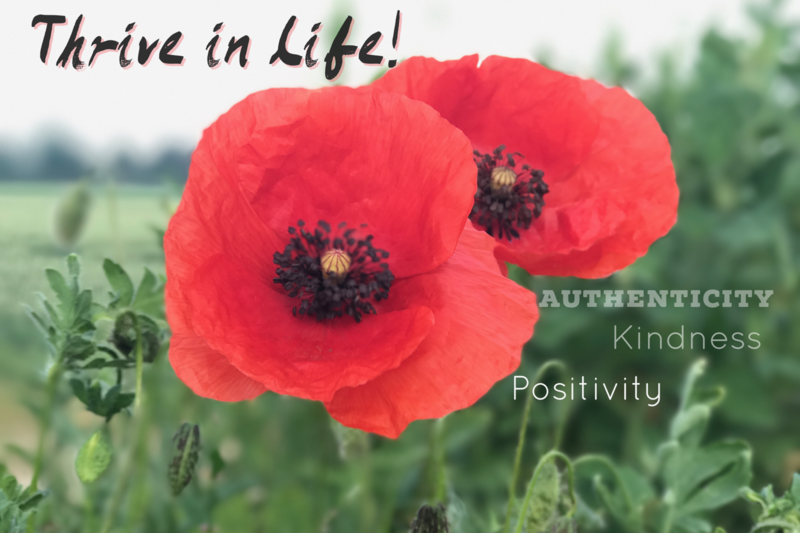 Next PostNext New year’s resolution- be authentic!